Whether it’s the Great Pyramid at Giza or the Grand Canyon, for centuries people around the world have argued about which of the most remarkable places on the planet count as the seven world wonders. Exodus Travels is thrilled to kick-off an once-in-a-lifetime contest offering aspiring travellers the chance to see the world’s wonders their way. Exodus Travels is giving travellers the opportunity to choose their own unique list of wonders; travellers can select their personal seven World Wonders to create the ultimate global adventure and enter to win a life changing, jaw dropping, mind-blowing, instagram-worthy travel experience to see them all. 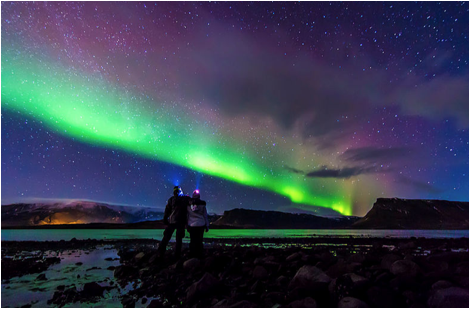 From being captivated by the Northern Lights dancing over Iceland’s snow-capped mountains, spotting India’s elusive Bengal Tiger in the wilderness, marveling at the mysterious moai of Easter Island to taking in the history of Cambodia while exploring Angkor Wat’s lesser-visited temples – one lucky winner will have the chance to win the ultimate adventure to see all seven of their personal World Wonders on seven awe-inspiring trips with Exodus Travels.